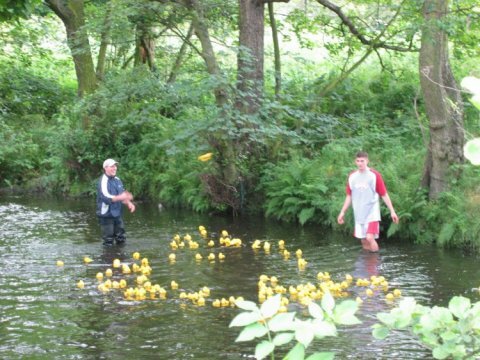 The Oxspring duck race took place on the 9th July 2004. Oxspring is a village in South Yorkshire. 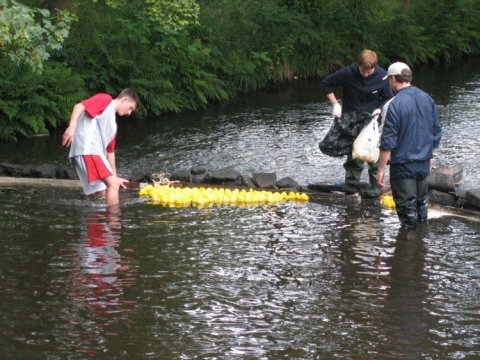 More than two thousand ducks were raced down a short section of the River Don, in several heats with 250 ducks each. 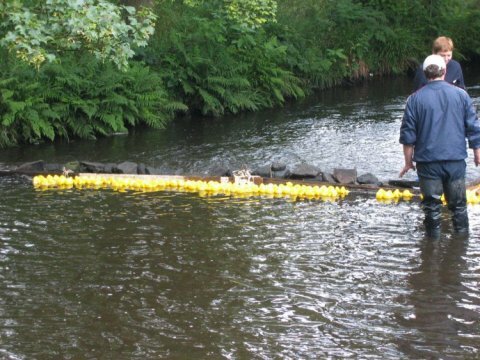 The ducks were dropped into the river from a bridge. The first three ducks from each heat won a prize, and those, along with the next twenty five ducks went through to the final. 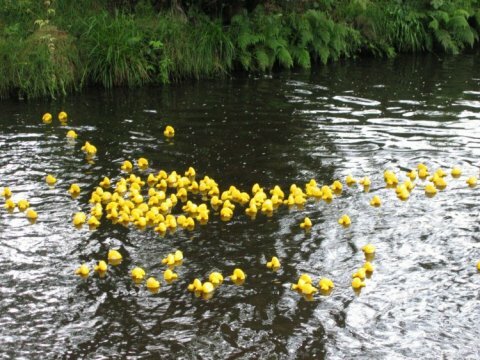 Many plastic ducks are racing down the river. The ducks have reached the finishing line. The ducks are taken out of the water.